Registration for Civil Service Live 2017 is now open. Civil Service Live is the most important learning and development opportunity of the year for civil servants. And this year’s will be the biggest to date, with more events in more cities around the country than ever before. It’s nearly a year since we launched the vision of ‘A Brilliant Civil Service’, based on four key objectives or ‘pillars’: Improved outcomes, Effective leaders, Skilled people, and A great place to work. The vision and its pillars provide the framework for all the learning on offer at Civil Service Live 2017. 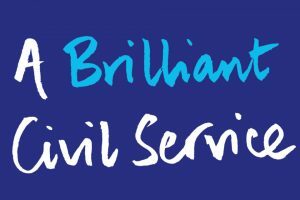 We have made real progress towards delivering the vision, which is why we recently launched the monthly 'A Brilliant Civil Service' award to celebrate civil servants all over the country who are making it a reality. I’ve been hugely impressed by the high quality of the nominations and eventual winners of the three awards to date. The first award, in January, recognising excellence in ‘Improved Outcomes’, was won by the Reducing Re-offending Team at HM Prison Ford. The team aims to expand educational opportunities for prisoners and improve the delivery of educational and vocational qualifications to those on day-release. By the end of 2016 the number of prisoners in full-time education outside the prison had risen tenfold, and all those on the scheme who have since been released from HMP Ford went directly into either full-time employment or full-time education. The winning entry in February, under the ‘Effective Leaders’ pillar, from the DWP Work Coach Team Leaders at Warrington Jobcentre Plus, is an outstanding example of leadership and innovation enabling operational and cultural change. The team handled the job of introducing a new service while supporting and training 25 new recruits. This challenge demanded, in their own words, “a positive approach and inclusive team spirit”. The team organised and led events for all staff, identifying best practice and making sure that concerns were raised and acted upon. The Met Office won the March award (for ‘Skilled People’) for building skills in-house to communicate important weather information using animations, rather than buying them in. Animation has proved a key tool for engaging with the public, particularly through social media. The Met Office now has a highly skilled team of animators creating content daily for partners such as Twitter. This is the kind of work that I see evidence of wherever I go when I visit civil servants. People, up and down the country, and across departments, for whom the vision of ‘A Brilliant Civil Service’ is already part of how they work. And every session at this year’s Civil Service Live events – including interactive seminars, practical workshops, and one-to-one mentoring – is geared towards building on this progress and creating a truly ‘Brilliant Civil Service’. This year’s Civil Service Live events are your chance to understand how you, your work and your team fit with the vision of ‘A Brilliant Civil Service’. They are an opportunity to meet and network with colleagues from across the organisation. And last but not least, they are an opportunity to take advantage of the fantastic range of learning and development opportunities on offer. So, for these reasons and many more, I encourage you to sign up here for Civil Service Live in one of the six locations where it is taking place across England, Wales and Scotland during June and July. I look forward to seeing you there. You can find more information about this year’s Civil Service Live events at the Civil Service Live website. Nominations for the May ‘A Brilliant Civil Service Award’ will open on 1 May. The category for the month is ‘Improved Outcomes’. You will find details of how to enter on your departmental intranet shortly. The links are blocked, and the website cannot be accessed via Chrome either. Extremely frustrating for MOD civil servants, and now I'm told most of the sessions are full anyway. Travelling from Dorset, there is little point going to CS Live on the off chance I might be let into sessions on the day due to others' failure to turn up, (this is the advice given by the CS Live admin team). And yes, my colleagues and I have reported the problem to the appropriate IT helpdesks. Another valid point is when is there going to be an event to accommodate the South? In these days of budgetary constraints it is very difficult to justify T & S costs for travel further afield. Our thanks to a number of MOD colleagues who have drawn attention to this issue. We understand that staff affected by the problem will receive a message advising them to register via an alternative route. If you do not receive this message, we recommend that you take the matter up with your internal comms team. As someone who has been a part of the civil service long enough to have seen and done it all, I have never seen or heard the above phrase from anywhere, apart from the SCS. I assume that if it is said enough, people will believe it, but the people survey results still don't reflect anything brilliant about life in the public sector. Please stop patronising your employees, and stop wasting public money on this PR exercise. Hi i must comment and completely disagree with your statement. Smile at every person you meet, help out any person you can, be a great genuine guy. Help your colleague next to you, this alone will help create a "Brilliant Civil Service" have you taken it upon yourself to change your department's view on the people survey? If everybody did something to improve no matter how small, your survey results will improve. As much as I do try to smile and I do help my colleagues (when I have time), I'm with Bill on this one. 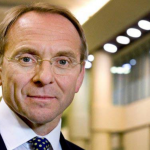 If the civil service is to become brilliant, the Government has to recognise that it cannot run on good will, poorly paid specialists and contractors.